We are asked about this topic so often that we wanted to provide you with some information to help you make an informed decision when faced with making your own selection. We are only talking about adding a new tree to your yard, so what’s the big deal, it’s just a tree right? Wrong, this tree is going to be around a long time, heck, it is going to be a part of the family, so best make sure the tree will fit in nicely with the other trees and the rest of your yard. Selecting the right tree for your property is critical to avoiding long term problems. We’re not just talking about the tree itself, as it’s just as important to give your neighbors’ property and trees careful consideration too. Homework, that is the most important thing to start with when selecting a new tree. Spend a little time researching your area. Walk around the neighborhood and look at your neighbors yards and see what trees look healthy and what trees look a little stressed. Determine whether you want a messy tree or a nice low maintenance tree? There is a lot to think about – but we’re here to answer questions and help you through it. Here’s our 5 best tips. This is probably the biggest mistake homeowners make. You need to think about the future and how the tree is going to grow up. Planting a small tree too close to the house will almost guarantee that in a few years the roots of that tree will start doing damage to your foundation. This problem spirals out, sidewalks can be an issue too, ever noticed in established areas the sidewalks are uneven and have dangerous lips? The cause is trees that were planted too close to the sidewalks. Planting a new tree too close to your driveway or walkways will also cause expensive problems in the future. The Arbor Day Foundation provides a comprehensive basic spacing guide that you can refer to for advice when selecting the right tree for your property size and type. As residents of Oregon, we live in a unique part of the country, where quite a few varieties of trees don’t lose their leaves during the winter months and provide for great color to the otherwise grey Oregon skies. These trees include both evergreens and conifers. Pine trees are beautiful, but pine trees are very messy. Decks or pools act like magnets for pine needles. It’s probably one of the oldest love/hate relationships a homeowner can have with trees. Deciduous trees on the other hand lose all of their leaves during the fall and winter months. However, they are still ideal for those that would like shade in the summer, as well as warmth in the winter. Think about how these trees with a full canopy of branches and leaves will affect the vegetation under the canopy. Will the grass get enough sun, will the other shrubs in the yard grow? All things to think about. 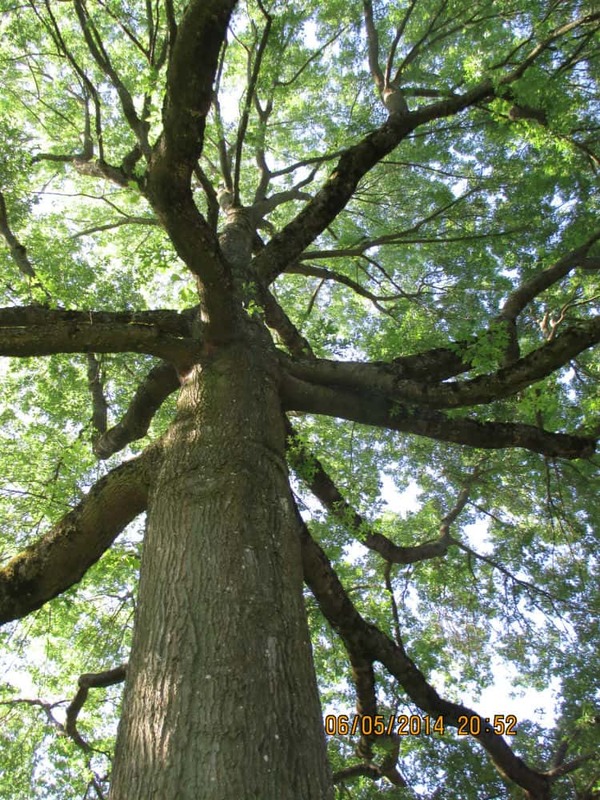 Established trees have the ability to self regulate with the water that is available. When planting new trees you will want to make sure that precise watering amounts is followed in the early years of the tree. Proper watering will help establish a healthy root structure. 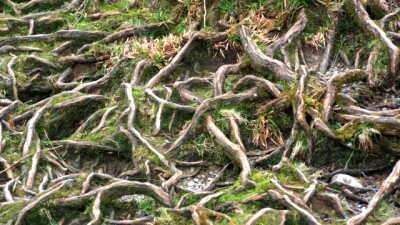 Healthy roots prevent trees from blowing over in wind storms. Take a moment and research the water needs of new trees, it will pay off for you in the long run. It’s important when selecting the right tree for your property that you take into account the length of time that it will take for your tree to reach its full height. If you are an impatient person, don’t pick an Oak. There are lots of varieties of trees that can accommodate any growth requirement you have. Fast growing tree species are likely to grow more than 2 to 3 feet in height each year. Poplar trees are a great example of quick growing. On the other hand, slow growing tree species tend to last longer than fast growing tree species – which is why it’s important to do your research on both types of species. If you’re still having trouble selecting the right tree for your specific needs and wants, you can always call us for informative advice, as well as planting help. We have the expertise to help you select the correct tree for your yard. The right tree will make your yard shine.